Social Media – Steve Travis – President P.A.L. Hi again, good to be back in blog land. 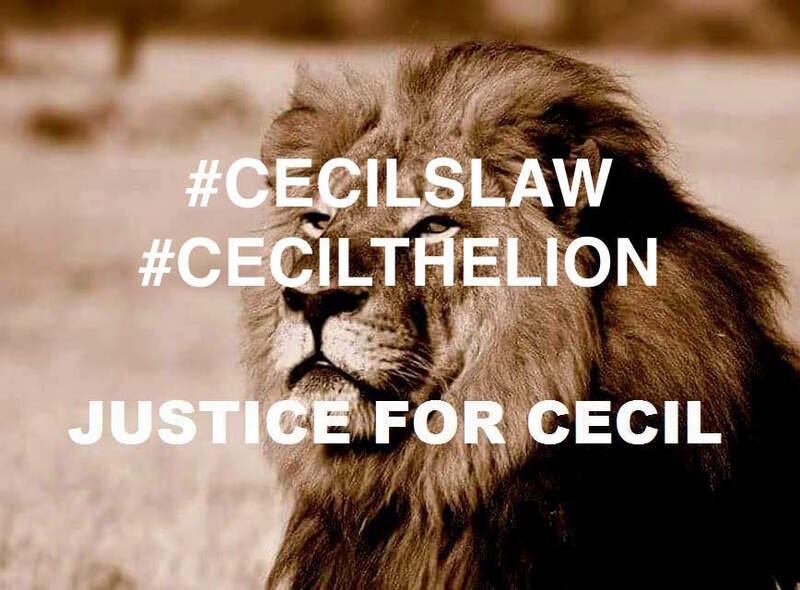 I have been amazed as I watch with open mouthed abandon how many people, all with a common goal to protect Lions, save lions, home lions and educate others about lions land up falling into the political wrangling of a minority who have their own interests at heart ahead of the lion itself. It is easy to put your name to a cause, bang on about it or proclaim to be an expert in the field (having never set foot in Africa), however its another when the very reason you care becomes a vehicle for self gain, ego, status and self opinionated drivel. In my eyes, anyone who has the interest of the animal at heart is worth supporting. I am aghast at how people ally themselves with one group or another, how they turn and become vile social media commentators, how they twist situations and are always whiter then white. How it is everyone else that is being vindictive, or talking out of turn. For me, the use of social media is best utilised to promote and educate others to the cause, to the plight of our planets Lions, or Rhinos, Elephants, Tigers and more. 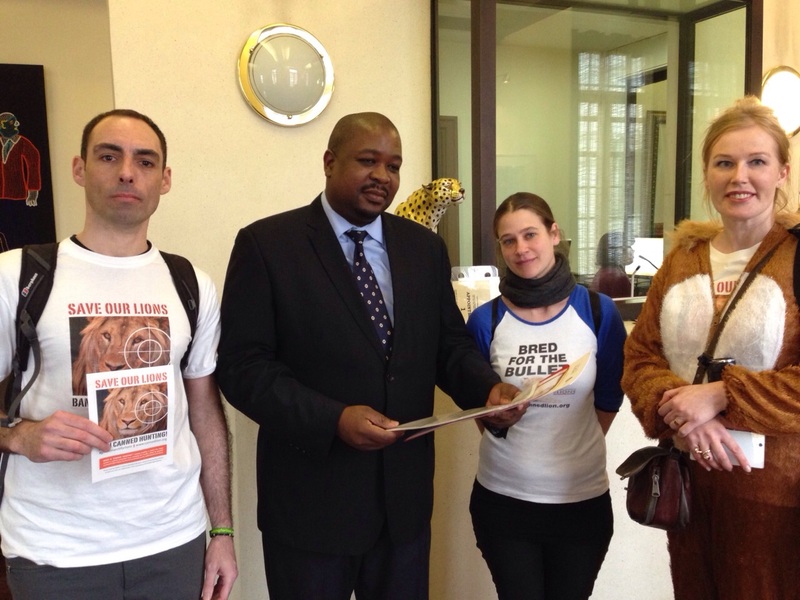 I made a promise to support and attend the Global March for Lions earlier this year, probably the single most significant event ever in the name of the lion and having them protected. I also promise to mail out PAL bracelets when we have received your order, and we do, without fail. Every action is another step to help protect our last lions. Publicly belittling others, entering into unwarranted dialogue provides absolutely NO protection to lions. It does not raise funds, it does not create positive awareness, it does no good to anyone apart from the originator. If anything it diminishes everything those who are truly committed to the cause are doing. I am fortunate to know some incredibly gifted, knowledgeable subject matter experts. I look to them for guidance, education and respect everything they do. THESE are the voices that matter, the ones who actually know what they are talking about. Not those who speak in their names. This week marks the start of the Great War. Incredibly moving to see soldiers from all countries involved sitting next to each other. Former enemies at war, sitting alongside their now allies. This is testament to the changes they made to our world as we know it. Opposing sides can find common ground, can build a future together as a united force rather then fractured enemies. This is my dream for the lions. That all our individual efforts connect to create a wider coherent web of strength, where we respect each others passion, try to understand the motivations, help each other, support one another and put political wrangling behind us and focus on the Goal! The most extraordinary event of my life. That is a bold statement coming from a guy who has catered for the worlds elite athletes at two Olympic Games, operated the most incredible catering contracts on the planet and is now living in rural Oxfordshire. My affiliation with PAL grows each day. 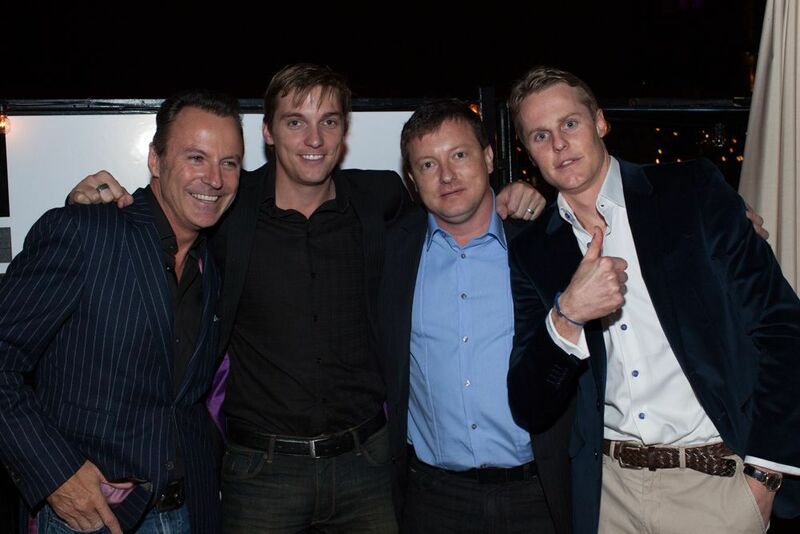 The foundation was publicly launched, at Soho House New York, on the roof top last Friday night. Hundreds of guests turned up for the most wonderful event in the city. Whilst I may have met the most incredible people, innovators, leaders, change managers and though meisters the entire focus was on the cause. Founder Conor McCreedy made a passionate speech and the crowd were enthralled at the video which followed. 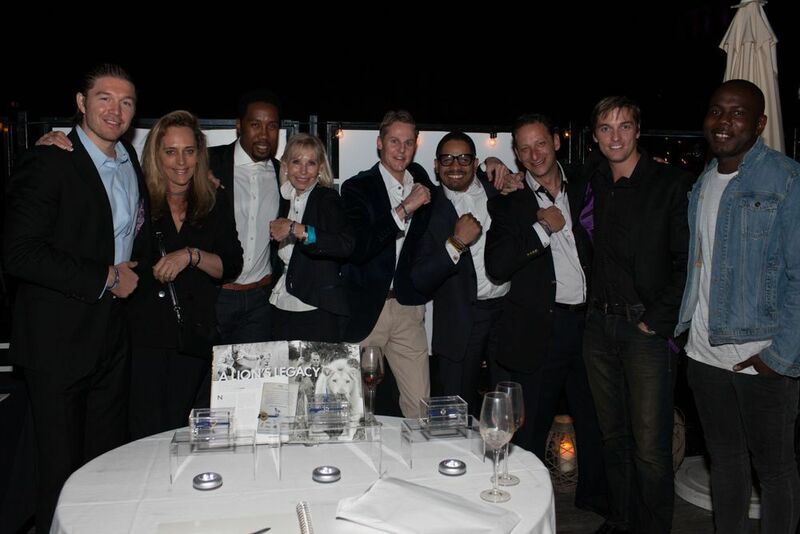 I am thrilled we inducted new ambassadors on the night and unveiled our official video. The pride has come together, now we need to take it to you, the rest of the world. Look at the launch video here to see the truth behind the cause and what you can do to help. To all those who attended, thank you. We are busy planning our next launches in Cape Town and in the United Kingdom, at the most incredible venues you can imagine!! Don’t forget you can order your McCreedy Blue PAL bracelet of support from the Lianne Landman Collection. Now is the time to wake up the world! What fantastic news I have to share with you, dear planet! 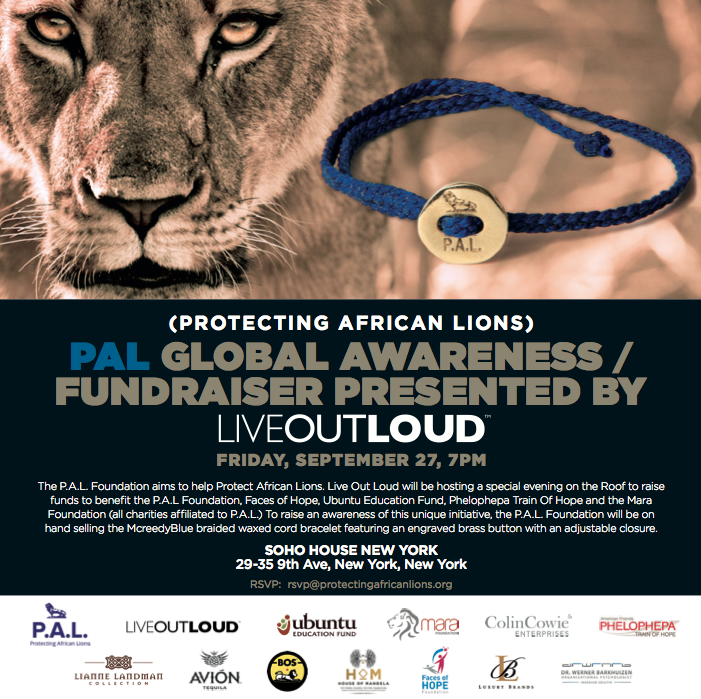 The Global Launch of Protecting African Lions (PAL) is officially taking place in New York City on 27th September 2013. This auspicious occasion marks the public start of the Foundation, its’ ideals and the ultimate goal of protecting one of the most endangered species on the planet. The African Lion. You may think there are plenty of lions in the wild, what’s the issue? The truth is that the lion is the fastest declining wild species in the world. They are being hunted in the wild, hunted through canned farming, hunted as trophies for wealthy people (I refuse to call them human) who have no courage or conviction, just a mere desire to take what they think is theirs, no matter what it costs. It has been proven that the hunt seasons in various African countries has actually increased local poverty as none of the income goes back into the community. PAL aims to get protection for the king of the jungle. I have just finished watching HRH Prince William inaugural TUSK awards where he stated how devastating it would be for a child born in recent months, as his son HRH Prince George was, could possibly grow up never having the chance to see a Rhino in the wild. 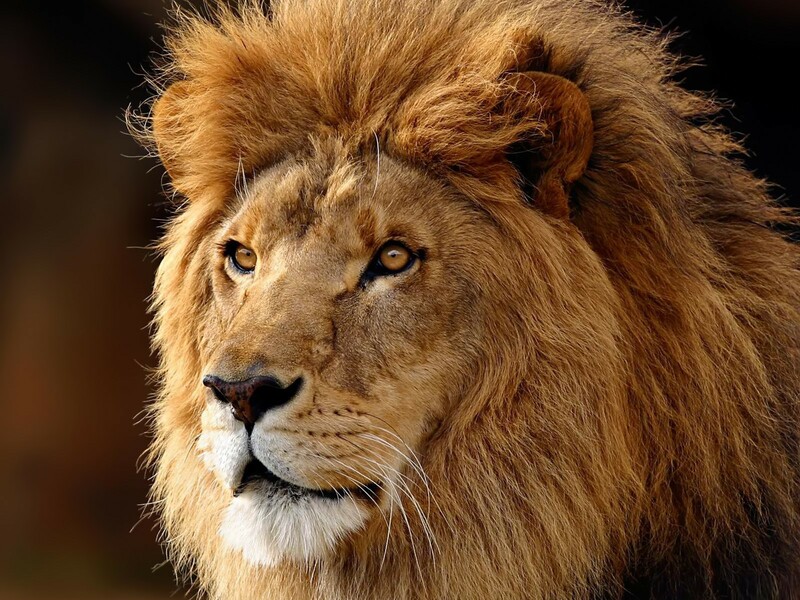 FACT – the lion will be in the same situation by the end of the decade unless something is done about it. To all the PAL Ambassadors, our supporters, our sponsors and you the general public, THANK YOU for your ongoing support. 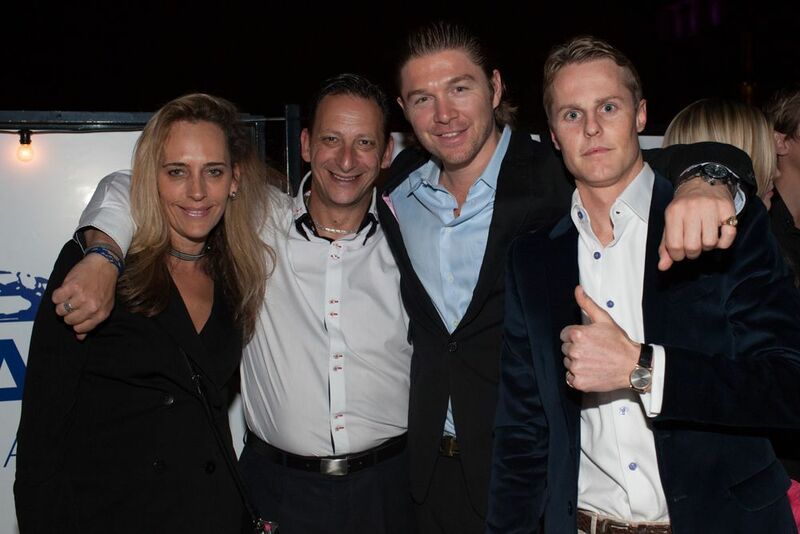 The most incredible group of people have come together from around the world to help launch PAL, including Colin Cowie, Soho House New York, Live Out Loud and Michael Eilertsen, Lianne Landman, and everyone else involved in getting the message out there. Mostly, to Conor McCreedy, PAL Founder, for his tireless work in building the team, developing the dream, eating, sleeping and living it every day. If you are in New York towards the end of the month, then the place to be, and be seen, will be at the launch of PAL. You can come along, with 20 of your closest wealthiest friends who wish to support this wonderful cause. It’s exclusive and will be the event of the Autumn! As you know by now, there are a number of charities affiliated to PAL who all benefit from your support. Please share the mission we have. Tweet, Like us on Facebook (ProtectingAficanLions) and get everyone buying the PAL bracelet of support. 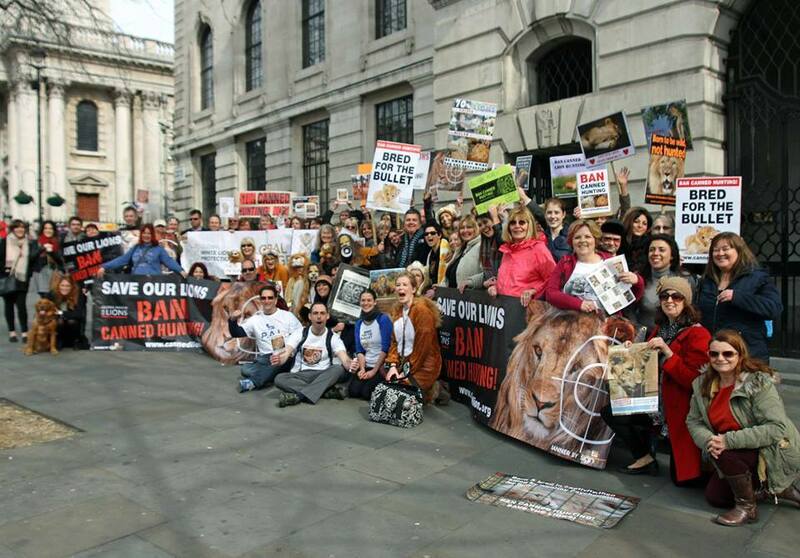 Firstly I would like to thank all of you who got involved in World Lion Day on the 10th August. The power of the people was felt across the globe and for an inaugural event it took the social media world by storm and has captured the imagination, hearts and support of thousands world wide. Thank you. Harnessing the power of the people is what this blog is all about. The time has come to share that the global launch of PAL will be happening on 27th September 2013 in New York City! The most incredible bunch of supporters, leaders and inspiring individuals are all busy pulling together an event of global proportions. Guest lists are being developed, contacts called and the who’s who being lined up for a dazzling night at Soho House NY. The reason for all of this, is to cement the PAL Foundations’ commitment to protecting the African Lion from extinction. Critical issue, without a doubt. You’ll have seen from my previous posts details about the decline of the lion population, so today is all about celebrating them and the way forward to get them the protection and recognition they deserve. African lions are increasingly threatened and endangered with over 90% decline in the past 50 years and continuing. During the hunting “season” 7 male lions are killed every 2 days. from Africa, largely through ‘canned’ hunting. PAL is a non- profit organization whose mission is to raise awareness and to start protecting lions from further decline. We have established a foundation designed to protect lions and to become a key strategic partner for governmental and other affiliated charity programs. The goal of our well-researched partnerships will be to help drive awareness of PAL. Conor Mccreedy (Founder) will front the organization through his brand and global appeal. Strategic partners presently on board include those listed on the above photo. By purchasing a “MccreedyBluePAL” bracelet, you will help drive our mission. Each bracelet will be sold for $21 USD. A portion of the funding will also assist other global charity groups affiliated to the project. Now, all i humbly request is you #jointhepride and buy a bracelet now, tell your friends about it, share this blog online, tweet about it, facebook it, like it and the power of social media shall help us secure the future of the King of the Jungle. 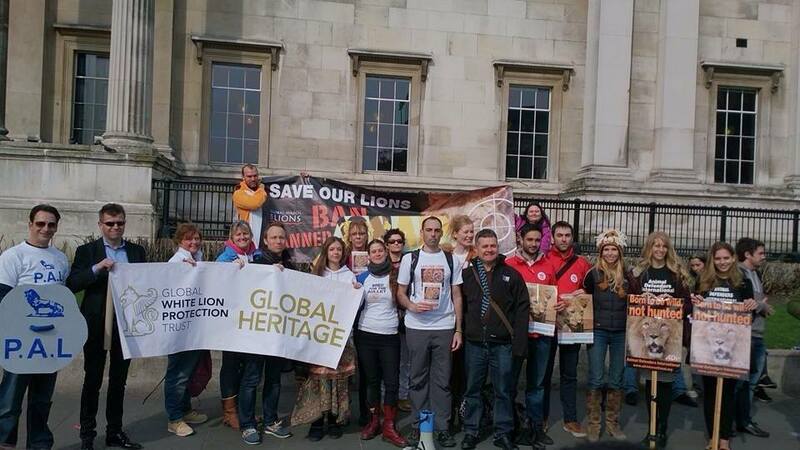 What an incredible response across the world for the inaugural World Lion Day last Saturday. Thank you to everyone who got involved world wide to raise the profile of the lion and their imminent extinction. Yes, EXTINCTION! This is a very real fact I am sad to admit. In this day and age where the world is very small through the likes of the internet, I find it really difficult to accept that humanity will sit back and accept that in 1960 there were over 200,000 lions in the wild in Africa and in 2010 the census had a count of just on 20,000. Thats 180,000 lions killed in Africa in 50 years. This is acceptable? I have an inherent fear that in the future, unless we do something about it quickly, that when visiting Africa, safari goers will be going to see the BIG 4, not the BIG 5. If rhino poaching continues as it is then it will become the BIG 3. Is this the world and the legacy we want to leave our children and grandchildren and generations beyond? The reality is that not only do we lose the lion but a continent loses a multi billion dollar income stream that currently supports millions of people and keeps them out of poverty. 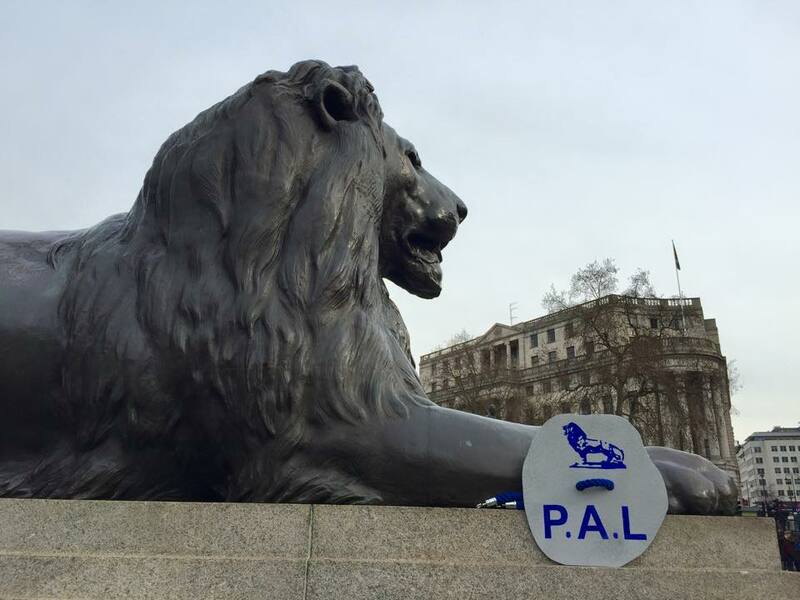 Protecting African Lions (P.A.L) may be a fantastic vehicle for sharing the plight of the lion with the world, however there are a number of affiliated charities and foundations that benefit from the sale of every PAL bracelet. The knock on effect is astounding. From the communities supported and developing through being employed to hand make the PAL bracelets to Faces of Hope being able to support cancer sufferers to UBUNTU Education Fund which helps South Africa’s orphaned and vulnerable children access higher education and employment by providing world-class household stability, educational, and medical support from cradle to career. The benefits go so far beyond protecting lions. Please share, quote, copy, forward and tweet about this blog to 500 of your closest friends. That will help us spread the word and for this I thank you. 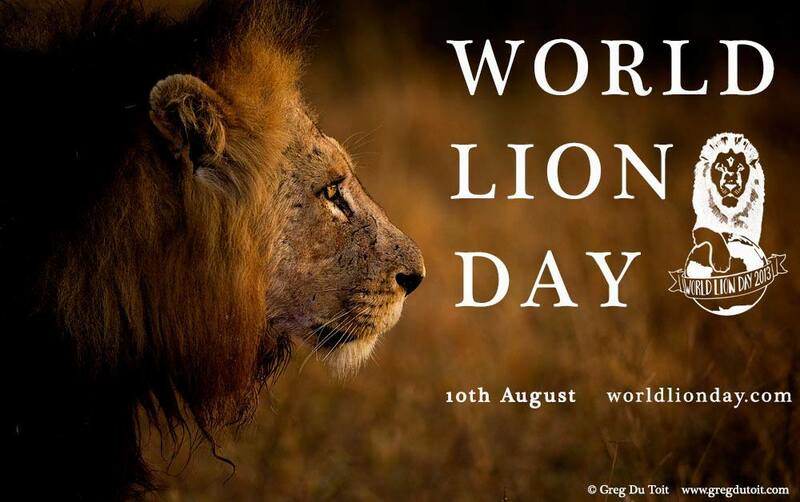 World Lion Day is upon us and as previously mentioned, I believe it would be fantastic to get #jointhepride trending across the world on Saturday 10th August 2013. Your help in raising the profile to the plight facing African Lions will go a long way to us ensuring the King is protected. Interestingly, this week in the UK, a branded cat food company has finally got behind the dire situation that Tigers face in the wild. Population now under 3,000 left in the wild, more in captivity. This is a very worthy cause to be sure, however it highlights that mankind is just not learning their lessons. Yes, there may be as few as 20,000 lions left in the wild, however, by the end of the decade, lions will be extinct unless we do something about it NOW! 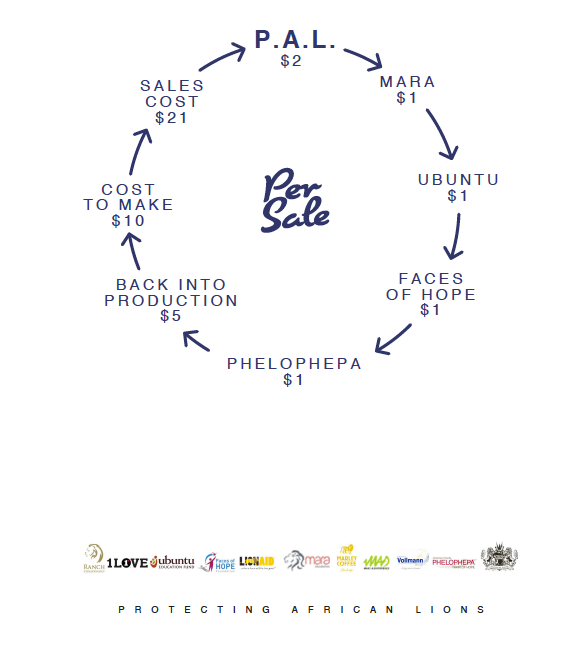 Please support us at protectingafricanlions.org, wear your P.A.L bracelets of support with pride. Irrespective of the topic, if you are on any social media site on Saturday, please add the hash tag #jointhepride so we can raise awareness across the planet. Great news in Arizona where they are looking to pass law banning canned hunting and the breeding of lions just to kill them. Animals are trapped within a fenced enclosure from which they cannot escape, then people go in and pay a fee to kill those animals. Many of the animals used in canned hunts come from private breeders and zoos.These are animals that are indigenous to Africa or Asia, but they’re bred here in the U.S. for this kind of activity. Nearly two dozen members of Congress have co-sponsored a bill known as the Sportsmanship in Hunting Act, which would make it illegal to transport exotic species between states for the purposes of hunting. The Safari Club International in Arizona has lobbied Congress and spoken out against bills that would make the practice of hunting exotic game in fenced-in preserves illegal. The organization based in Arizona is defending this controversial type of hunting that is against the law in Arizona.